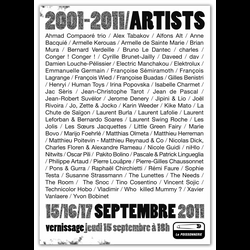 Concert as part of the 10th anniversary of the association and exhibition gallery La Poissonnerie. 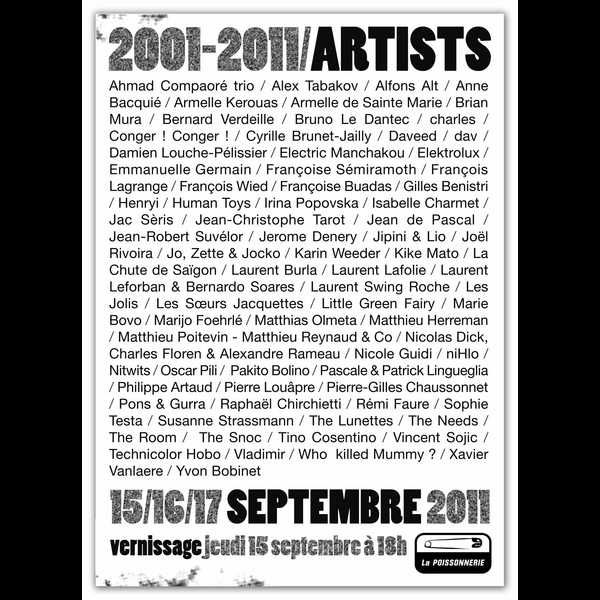 La Poissonnerie celebrates its 10 years with 75 participating artists over 3 days (exhibition, lecture, concerts, dance and film showing). Preview of the collective exhibition on Thursday 15th September at 6:00pm - 360 rue d'Endoume (Tel: +33 (0)4 91 52 96 07 or +33 (0)6 13 14 68 35). Bar Le Terminus, 372 rue d'Endoume, 13007 Marseilles.